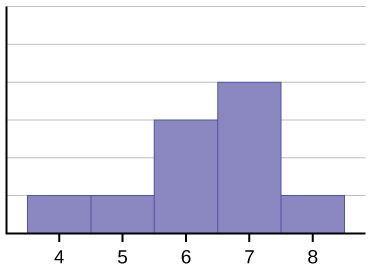 The histogram for the data: 4566677778 is not symmetrical. The right-hand side seems “chopped off” compared to the left side. A distribution of this type is called skewed to the left because it is pulled out to the left. 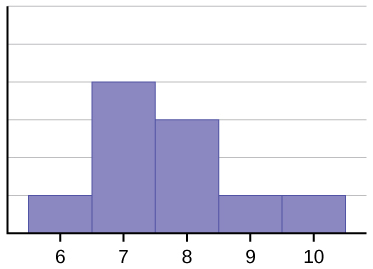 The histogram for the data: 67777888910, is also not symmetrical. 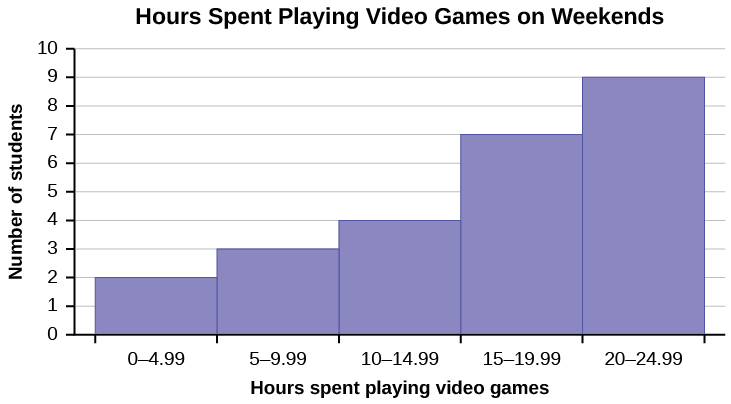 It is skewed to the right. Here is a video that summarizes how the mean, median and mode can help us describe the skewness of a dataset. Don’t worry about the terms leptokurtic and platykurtic for this course. Looking at the distribution of data can reveal a lot about the relationship between the mean, the median, and the mode. There are three types of distributions. A right (or positive) skewed distribution has a shape like Figure 2. A left (or negative) skewed distribution has a shape like Figure 3 . 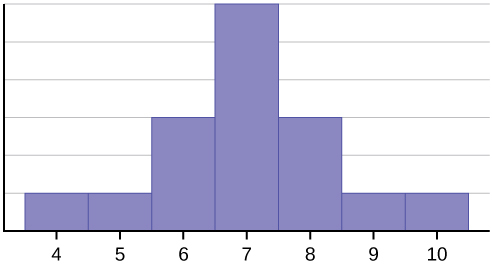 A symmetrical distribution looks like Figure 1.